Jihadist militants appear to have launched a major offensive from east Aleppo, Syria, an RT crew reports from the scene. Residential areas are under heavy shelling, with at least six people confirmed killed and over 70 injured. Alleged Al-Nusra Front fighters are trying to break through the blockade of the city, RT’s Murad Gazdiev reported from Aleppo. He said at least six civilians were confirmed killed from the shelling since Friday morning, including a two-year-old boy. Dozens were injured in the attacks. The shelling targeted the Bustan al-Qasr area of western Aleppo. The Syrian military says it is in control of the situation and has prevented the militants from breaking through or capturing any territory. 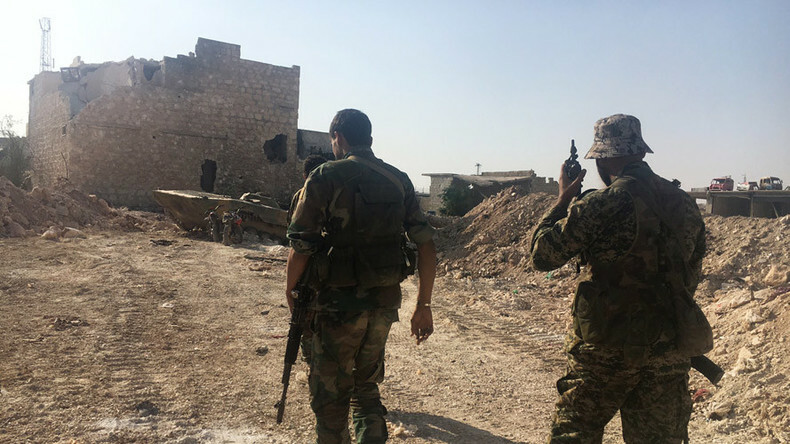 The offensive comes after Russia and Syria, blamed by the US and its allies of causing civilian casualties by striking militant positions in east Aleppo, stopped sorties over the divided city. The pause in air action lasted a full 10 days. A spokesman for Ahrar al-Sham, a large Islamist rebel group, said in a social media message that the factions involved in the attack include the Free Syrian Army (FSA) and Jaish al-Fatah, an alliance of Islamist factions, Reuters reported, citing the Levant Front – a group fighting under the umbrella of the FSA. There are numerous militant groups in east Aleppo, all opposing government forces and their allies. The US says the jihadists play a minor role in the region and accuses Russia of targeting so-called moderate rebels rather than terrorists. Russia says Al-Nusra Front – an Al-Qaeda offshoot – actually dominates east Aleppo, with most other armed groups answering to it. The continued failure of the US to separate moderate rebels from jihadists as promised by Washington attests to that, Moscow believes. Russian Foreign Minister Sergey Lavrov commented on the problem on Friday after meeting his Syrian and Iranian counterparts in Moscow. “Our agreements with the Americans put the separation of the moderate opposition from the terrorists as a priority. There has been no progress in this field so far and frankly speaking no progress can be expected anytime soon,” he said.